The trailer of upcoming action film Uriis out now. 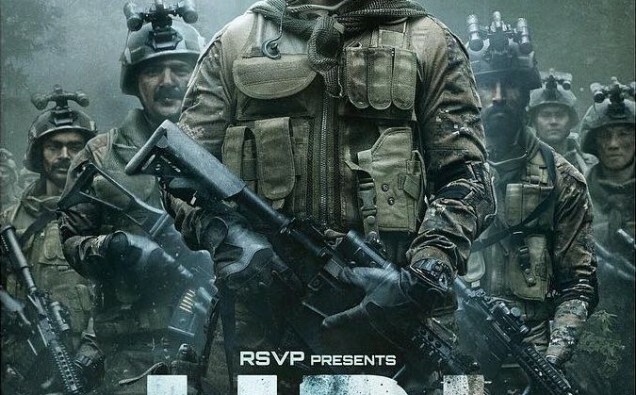 Starring Vicky Kaushal,Yami Gautamand Paresh Rawal, Uri is based on the 2016 surgical strikes on Pakistan after Uri Base Camp in Jammu & Kashmir was attacked. The action-packed trailer introduces audiences to Vicky Kaushal’scharacter, an army officer who leads the military operation. Audiences also get a look at Yami Gautam’s character, an intelligence officer. The trailer goes on to give us a glimpse of the powerful story as Vicky’s character trains his chosen team for the operation and prepares for what is to come. The recently unveiled trailer has received a humungous response from audiences. Bollywood celebrities too have hailed the trailer on social media. Bollywood celebrities like Alia Bhatt, Karan Johar, Suniel Shetty and Arjun Kapoor amongst others gave thumbs up to the trailer. Written and directed by Aditya Dhar, Uri will be releasing in cinemas on 11thJanuary 2019.